Jellybean 88 with Dan Davis and the art of ART. Resus for dummies or resus for clever people? Dr Dan Davis and the art of ART. I was at Luna Park in Sydney last year. It is an ageing un-reconstructed theme park with rickety roller coasters, a whole bunch of noisy rides and fairground attractions. It is all very retro to the point of being almost ironically cool. That’s all wasted on the kids that love it. It has got all the classics and none of the super-stars. It is the old way of doing the theme park thing. It still works. There are much better ones but it does still work. It is also right underneath the Sydney harbour bridge. If there wasn’t a fairground in place I’d go there anyway just for the view. As a parent you have to find the silver linings to these sort of things. There is a reason I am telling you about Luna Park which I will come back to in a moment. My last visit had a different silver lining. Instead of reluctantly buying toxic candy floss for my progeny I was getting a whole load of educational goodness at the “Resus @ the Park” conference. 3 days of creative teaching and some very cool pre-conference workshops. It was at on of those that I met Dan Davis. I am very glad I did. Now many of my favourite people in the FOAMed world are trying to push this all resus stuff forward. We know BLS/ALS/ACLS is a bit of a cookie cutter approach, one size fits all, don’t ask questions just follow the protocol stuff. We know why that is useful, we also know where it fails. It is very like the ATLS/EMST approach to trauma. In fact its a bit like Luna Park. It still works. There are much better ways of doing it but it still works. So do we want to fix it? Yes we do. Can we fix it? Yes we can. Many people are trying to fix it in many ways. Dan’s story is a great example of one of the ways to try and fix it. 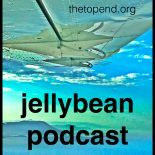 This being a FOAMed podcast we would like it to be fixed for free. We like free things. Most people do. Dan was working in University of California and he was researching and he came up with a cool thinking wo/man’s version of advanced resuscitation training and it seems to work. Very well. That would be interesting enough. But what happened next when he started giving it away for free is another story. Have you ever heard of Students T-Test? Rack your brains, it probably came up in your high school years. Basically a smart scientist, working for Guinness 110 years ago in Dublin, came up with a clever statistical tool for small samples. You don’t know the scientists name. It was Gosset. Guinness forbade their employees from publishing and so he published under a pseudonym. A statistics paper published under a pseudonym. Hilarious. Dan is a laid back, chilled out, relaxed dude from California. That doesn’t stop you being sued though. The good news is that his employers were pretty laid back about things too and the next thing you know his career has taken a very significant turn. Now he has a start up company and he doesn’t pay himself. I think that’s progress. I’m not sure though. Hidden in this podcast is a lesson for us all, a lesson about innovation, intellectual property, accelerometers and stout. A good idea is a beautiful thing but it is not always enough. There are lots of ways to improve things. I liked Dan’s teaching, I liked his system, I like him. It is less anarchic than FOAMed as we know it, he is working within the system, but he is a disruptive influence in there. Go Dan. International educationalist and intellectual resuscitationist. This entry was posted on January 20, 2018 by Dr Doug Lynch @TheTopEnd in Uncategorized.